As the Doha Development Agenda negotiations have stalled, ITC’s work with policymakers has shifted from issues related directly to trade negotiations to export development and trade promotion issues. ITC’s support to policymakers to integrate the business sector into the global economy has increasingly targeted improved policy effectiveness for export development and trade promotion. Overall, results of this work are favourable. ITC’s 2011 Client Survey indicates that 76% of policymakers who interacted with ITC valued ITC’s support to their organization or government over the previous three years (2009–2011). Real change in the trade landscape and dynamics of a particular sector, country or region can only be effected through strategic, integrated initiatives involving a representative array of stakeholders from the public and private sectors to identify a common vision, determine the strategic requirements, and manage the implementation of an action plan. In this context, an export strategy represents the best possible assessment of trade-related needs. From this initiative, countries have a tangible, informed platform from which to attract investment for future initiatives. This is the essence of ITC’s approach to export strategy. Although the organization does not have the capacity to implement this approach for every programme country, its methodology is in high demand. In 2011, in addition to working with individual sectors and countries, export strategy played an intrinsic role in a number of ITC’s large programmes including AAACP, PACT II, NTF II and EnACT. Placing export strategy at the forefront of large programmes demonstrates the ultimate goal of sustainable development through exports. The export strategies prepared by countries with the advisory services of ITC are developed as global public goods. In 2011, ITC enhanced its support tools and literature in English and French to help countries develop their export strategies. Export strategy support systems were improved to better manage and monitor activities. In 2011, ITC contributed to the export strategy processes of a number of countries. Key stakeholders endorsed the national export strategy of Dominica after an integrated process involving improved public-private dialogue to aid the burgeoning export culture in the country. Beyond strategy development, a mechanism to manage implementation is included, with capacity building for the key implementation partners. The export strategy development process in Dominica also triggered a number of new policy proposals by TSIs to expand exports from the island. In 2011, ITC finalized two sector strategies in Tunisia related to processed food and services to enterprises, which led to an action plan to enhance the competitiveness of selected enterprises in these two subsectors. Improved public-private dialogue was also a significant achievement in 2011 for the export strategy processes in Jamaica, Liberia, Uganda and Yemen. A key characteristic of ITC’s export strategy methodology is to ensure that trade forms an integral part of countries’ national development plans. In 2011, policymakers in Liberia and Yemen were better prepared to mainstream trade into national planning processes and other policies. TSIs in Jamaica also prepared new policy proposals resulting from the development of the country’s export strategy. PACIR is a four-year programme in Côte d’Ivoire involving multiple partners and a budget of € 16 million funded by the EU. The objective is to strengthen the Ivorian economy with a view to integration under the Economic Partnership Agreement. ITC is engaged in two of the four specified outcomes of the programme: improvement of the business environment (ITC-led) and strengthened competitiveness of Ivorian SMEs (with UNIDO). Delayed because of the political unrest in the country, the programme was officially launched in November 2011, and initial outputs include mapping Ivorian TSIs to determine which should be involved in the design of a national export strategy and which would benefit institutional strengthening; training foreign-based Ivorian trade counsellors on trade information and foreign trade representation, to promote Ivorian exports and foreign direct investment; and orchestrating a study tour for lawyers from the Cour d’Arbitrage de Côte d’Ivoire at the Centre de Médiation et d’Arbitrage de Paris to enhance their mediation and arbitration skills. Increasingly, ITC’s work in export strategy is moving beyond the strategy document towards supporting implementation, through coordinated management mechanisms that are established and managed by national and regional institutions. 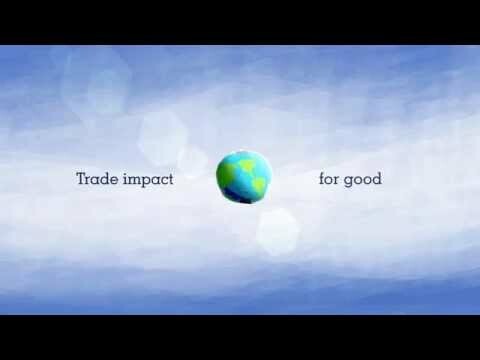 In 2011, ITC made a concerted effort to strengthen the support provided to partners after export strategies were designed, with a particular focus on two of ITC’s large programmes: PACT II and AAACP. In the case of AAACP, which was completed at the end of 2011, detailed regional cotton, textile and clothing sector strategies were developed in West and Central Africa, while sector strategies were also developed for high-value commodities in partner countries. More detail on the individual products in each country can be found in the section on supporting enterprises. Rather than simply produce a strategy document, partner institutions were enabled jointly to produce plans of action and implementation frameworks to accompany each of the regional and national sector strategies. In West Africa, the governance structure to ensure the implementation management of the regional cotton strategy was established by UEMOA. The implementation framework was recognized by the bodies of the UEMOA Commission as the lead institution for mobilizing resources for the implementation of the strategy and for providing effective support in the development of the cotton-textile-clothing industry in the region. Similar results were achieved in 2011 for the PACT II mango sector strategy in the ECOWAS region, and each of the sector strategies developed for the targeted agri-food industries under AAACP. This implementation management approach increases the feasibility of attaining results from the export strategy process. Export strategy can encourage policymakers and the private sector to think not only about how to expand and improve current exports, but also to create a vision for potential exports. As an implementing partner, ITC is challenged to consider possibilities beyond present conditions. In 2011, under PACT II, ITC worked with partner institutions in the COMESA to develop a regional strategy for the leather sector that goes beyond the production of raw materials towards value-added leather goods. The move to greater value addition was at the insistence of COMESA itself. The region is committed to this strategy and will invest its own funds towards implementation, ensuring local ownership. The participatory approach to strategy development is challenging, even in the single country context. The COMESA experience with leather involved 15 countries, each with an existing leather sector. However, through collaboration between countries and across the private and public sectors, COMESA has chosen to position itself as a regional supplier of value-added leather products. Some 60% of the representatives in this participatory process came from the private sector, ensuring business buy-in, and national governments were represented by senior policymakers. Implementation of this bold strategy will require significant coordination and collaboration between member states and at regional level. The region has already confirmed its strategy management and implementation mechanism team and built their capacity for this role. Much of ITC’s work to integrate the business sector of developing and transition economies into the global economy involves bringing private-sector interests and perspectives into the policy-making process. In 2011, ITC approached this work from three angles: business implications of regional integration, organized business participation in public-private dialogue, and LDC accession to the WTO. The stalling of the Doha Development Agenda has coincided with a flood of parallel trade agreements, including arrangements to foster greater regional integration. In 2011, private-sector-led initiatives aimed at activating public-private consultation processes on policy issues at regional level intensified. The business sector in the Southern African Development Community (SADC) is more acutely aware of the business opportunities and threats associated with the region’s Free Trade Area (FTA) through a public-private dialogue event in the region and the drafting of a position paper on the challenges for the private sector stemming from the SADC FTA, along with policy recommendations to mitigate these challenges. Following a similar public-private dialogue event for the East African Community (EAC), participants initiated the design of a road map to address the challenges they prioritized from the implementation of the EAC Common Market Protocol. Case studies on the business implications of regional integration were also produced for the clothing and textiles sector in the Andean Community and for financial services in Central America. ITC’s advisory support services in regional integration are made possible thanks to Window I of the ITF. Regional integration is a core thrust of PACT II. ITC supports the inclusion of the business voice in this policy process by establishing and strengthening private-sector apex bodies for public-private dialogue at the regional level. These bodies represent the regional private-sector voice and also increase private-sector awareness of the implications of regional integration. In 2011, the role of the COMESA Business Council as the apex privatesector body was fortified through increased membership, diversified funding and business linkages with other regional and international bodies. The organization secured funding from other donors in addition to its PACT II budget and was active in presenting the business voice through policy papers and public-private dialogue events. In the ECOWAS region, a formalized public-private dialogue mechanism is a step closer with the establishment of the Export Actors Platform (EAP) and the Trade Experts Network in 2011. The EAP led the identification of issues of immediate concern for the private-sector relation to the implementation of the ECOWAS Trade Liberalization Scheme. 2011 also saw the establishment of three dedicated regional apex bodies in ECCAS — the Chamber of Commerce, Employers Association and Women Entrepreneurs Association. Leaders of these organizations are sensitized to the challenges and opportunities associated with business advocacy at a regional level and are in a better position to represent the concerns of their constituencies in this regard. Increasing private-sector confidence in LDCs in the WTO accession process is a key objective of ITC, pursued thanks to funding from Window I of the ITF. The organization engages the private sector in this policy process through building awareness of the business implications of accession to the WTO, while ensuring that the private-sector voice makes an important contribution to the negotiations. In 2011, ITC assisted private-sector involvement in the accession processes of Ethiopia, Lao PDR and Samoa. In each of these countries, 2011 saw a marked improvement in private-sector confidence in WTO accession. Ethiopia envisages concluding its negotiations on WTO accession by 2015. The country used 2011 to assess the implications of financial-sector liberalization by studying the experience of other countries. Through the public-private dialogue mechanism, parties agreed to conclude that reform of financial services is necessary. In Lao PDR, sector associations have indicated that key sectors are now prepared for accession and have identified the need for WTO membership to strengthen domestic reform and to provide stability and direction to the regional integration process. ITC’s 2011 Joint Advisory Group (JAG) meeting included a panel session on Trade Capacity for WTO-Acceding LDCs. During this session, the former president of the Samoa Chamber of Commerce imparted her experience in gaining the understanding, confidence and ownership of the private sector in Samoa’s bid for accession. ITC’s support in this process was recognized by WTO Director-General Pascal Lamy in his official speech during the announcement of Samoa’s accession at the Eighth WTO Ministerial Conference in December. ITC has also supported, to a smaller degree, public-private dialogue to support the Government of the Russian Federation in building stakeholders’ confidence in their accession to the WTO. Dialogue was held in Belarus and in the Chuvash Republic. To engage effectively in the multilateral trading arena, developing countries need to build sustainable capacity for better informed trade policy development. This need was identified by Pakistan and is the main objective of an EU-funded programme that ITC is jointly implementing since 2011 in the South Asian nation, in partnership with the World Intellectual Property Organization (WIPO) and UNIDO. The key TSI leading this initiative, PITAD, has established a strategic partnership with WTI in Bern, Switzerland, enabling access to global experts in the field of trade policy. Future Pakistani trade policy specialists will have access to world-class training in trade policy development. In 2011, work commenced on the revision and upgrade of the PITAD core curriculum using a mentorship and coaching approach for PITAD master trainers and WTI experts. As a measure of early success, the WTI Executive Board approved co-accreditation of certain modules delivered by PITAD.